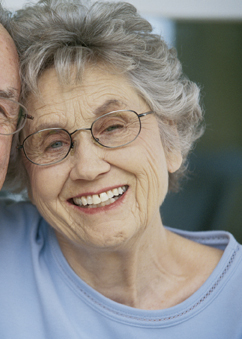 Depression in the elderly affects about 6 million individuals 65 and older. However, only about 10% of elderly individuals with depression receive treatment. One of the main reasons why such a small percentage of the depressed elderly seek treatment may because their symptoms are often different then the symptoms of depression in younger individuals, their symptoms are labeled as part of a physical illness or side effects of medication that they are on (source). According to the National Alliance on Mental Health one of the most common consequences of untreated depression is suicide. In fact, older white males are at the highest risk for suicide in the United States. One way to help prevent depression from negatively affecting the lives of the elderly is to educate people on the topic and help spot the symptoms. Depression in older individuals often include memory problems, confusion, social withdrawal, loss of appetite, weight loss, vague complaints of pain, Inability to sleep, Irritability, hallucinations, persistent and vague complaints, help-seeking, moving in a more slow manner and demanding behavior. As mentioned before one of the reasons why depression in the elderly often does not get diagnosed is because the symptoms are so similar to side effects of medication, other illnesses or aging. Therefore, a physical exam is essential in determining whether the above mentioned symptoms are from depression or another medical illness. Once diagnosed, about 80% of people with depression improve when treated with medication, psychotherapy and or electroconvulsive therapy (ECT). For more information on the topic please see NAMI Depression Fact Sheet. Sprain Brook Manor’s Rehab, located in Westchester prides itself on having the best skilled nursing care in Westchester. We understand that after major health events individuals are at great risk for mental health related issues. For this reason we work towards creating a supportive and friendly environment where residents have the chance to participate in daily activities and heal their body, soul and mind. This post is provided by Sprain Brook Manor Rehab which Provides unique opportunity to recover from medical procedures that result in true satisfying results. Getting you stronger and better every day. Contact us today to receive more information. Disclaimer: The information provided in this post in not intended to be construed as health advice, nor should it be considered a substitute for obtaining individual medical counsel or consulting your physician. Every year there is a massive push to get the flu shot. This should be no surprise considering that the CDC recommends that everyone above the age of 6 months (except if you allergic to eggs or have had a bad reaction to the vaccine in the past) be administered the vaccine (source). The elderly are at increased risk of having complications from the flu therefore it is very important that anyone above age 65 receive the flu shot. Besides for the flu shot there are several other vaccines that Vaccines.gov, a federal gateway to information on vaccines and immunization, recommends that individuals over 65 consider. These vaccinations include Shingles (Herpes Zoster), Diphtheria/Tetanus, Pertussis (Whooping Cough), Pneumococcal (Pneumonia) Shingles is caused by the same virus that causes chickenpox. After someone gets chickenpox the virus can stay dormant in the body and eventually become active again. Shingles usually begins as a painful rash that eventually forms blisters, that scab. Other symptoms include fever headache, chills and upset stomach. It can lead to serious complications and in rare cases death. Half of all shingles cases include people over 60 and the only way to prevent shingles once you have had the chickenpox is to get the vaccine.In addition to the shingles vaccine individuals over 65 should get the Tdap vaccine (tetanus, diphtheria, and pertussis), and the Pneumococcal vaccines, which protects against pneumococcal disease (source). Pneumococcal is caused by Streptococcus pneumonia bacteria and can lead to pneumonia, bloodstream infection (sepsis), or meningitis. 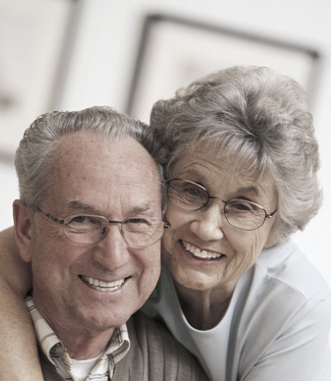 Older individuals are at elevated risk for having serious complications from pneumococcal disease (source). Make sure to talk to your healthcare provider to determine what vaccines may be appropriate for you or your loved ones.This post is provided by Sprain Brook Manor Rehab, located in Westchester NY, which Provides unique opportunity to recover from medical procedures that result in true satisfying results. Getting you stronger and better every day. Contact us today to receive more information. Disclaimer: The information provided in this post in not intended to be construed as health advice, nor should it be considered a substitute for obtaining individual medical counsel or consulting your physician.